Elon Musk suggests that artificial intelligence could be dangerous. Do you agree? Do you worry about the development of such technology? What do you think are some of the dangers of artificial intelligence? What are some types of artificial intelligence you can think of? What are some ways in which they are helpful? What are the dangers of artificial intelligence? 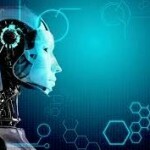 Do you think artificial intelligence could become more intelligent than humans? What are the differences between artificial intelligence and human intelligence? What activities are computers better at than humans? What activities are humans better at than computers? What are some of the ways artificial intelligence could improve our lives? Do you think robots could ever control the world? How would you like artificial intelligence to help you? What will artificial intelligence be like in 100 years from now? If a robot is developed in the future that can experience emotion, what moral issues does this raise? Would it be ethical to ever turn it off? What rights should they be given? Have you seen any movies about AI? What happened in the movie? How did it make you feel about artificial intelligence? This entry was posted on Friday, June 24th, 2016 at 8:27 pm and is filed under Conversation Lessons. You can follow any responses to this entry through the RSS 2.0 feed. You can leave a response, or trackback from your own site.